Home / Uncategorized / Christmas Candles! Okay. We’ve looked at great candle options for Thanksgiving and Hanukkah; check out those prior posts if you haven’t had the chance yet, as they have some great goodies for year-round candle fans. Today, we’re going to wander happily through some more lovely lights, this time with a Christmas focus! Christmas candle decor is often the most effective in groupings. 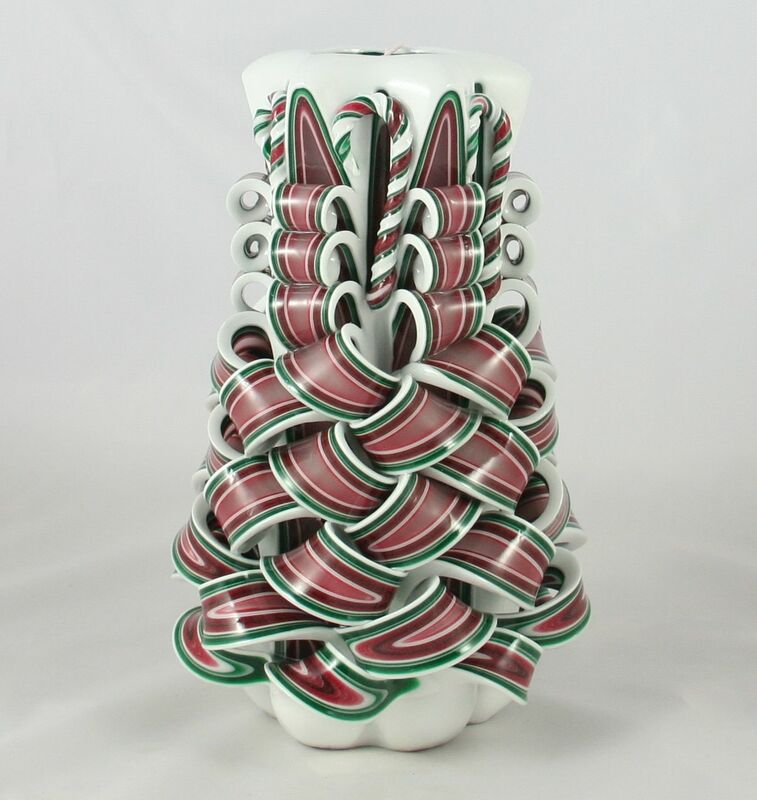 Candle holder sets for tea lights, votives, tapers, or pillars, can be mixed and matched. Varying heights can add a lot of impact to your display. Try placing candles all in a row along your mantel, buffet, or foyer table. Or, you might like the effect of arranging groupings of different numbers of candles; perhaps three clustered here, five gathered over there. Or, for a more balanced effect that works great for framing a featured decor item like a centerpiece or Christmas village scene, try aligning candles in a formal, paired arrangement, perhaps with successively taller candles in a ladder-like configuration. Since burning candles at Christmas is so popular, and you will likely want to use them during various festive occasions, having excellent quality, long-burning, candles that maintain a steady flame and do not emit toxins or unpleasant odors is important. Look to pure beeswax candles to resolve most of the problems you may have experienced using candles in the past. While I am a fan of beeswax candles, Christmas is a great time to branch out and indulge your candle collecting urges. Maybe you have wanted to add some more retro, Midcentury vibes to your holiday? First: Try dusting the candle using a feather duster or disposable duster. This should remove the surface dust. If the candle is just a bit dirty: Try using an old (or inexpensive) pair of pantyhose! Slide the candle into one of the legs, and gently rub it all around. The hosiery material will help to scrape off surface dust without damaging the wax. If the candle is more dirty: Dip a microfiber cloth into lukewarm water, wring it out, and then lightly wipe the candle, going in the same direction as you wipe, rather than rubbing back and forth. Another option: Dip a cotton ball in rubbing alcohol. Beginning at the top of the candle, gently wipe away dust and debris. Be careful to keep the wick in good shape. If you notice that the candle color is coming off onto the cotton ball, you will need to stop, or you will risk marring the candle. It is worth noting that higher quality candles are usually easier to clean than low-quality candles. If the candle is very dirty and doesn’t otherwise have any particularly redeeming features, you may wish to simply throw it away and treat yourself to a new one!